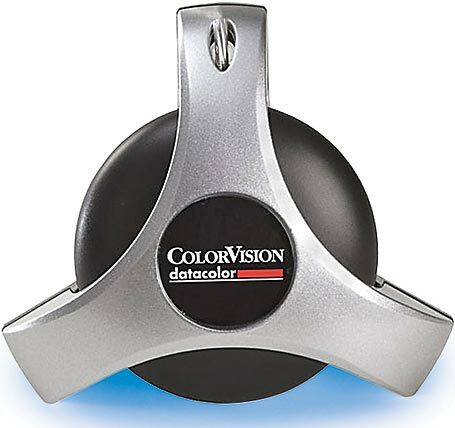 You can ensure that your HDTV's color and other settings are as accurate as possible by using Datacolor's SpyderTV color calibrator to assess them. You just bought a big-screen high-definition TV. After installing it, you tuned in to an HDTV broadcast, expecting brilliant color and amazing resolution. But wait: Has your favorite team become the Boston Orange Sox? Do the Gilmore Girls look just a little bluer than usual? Are the Friday Night Lights shining so brightly that your eyes are starting to hurt? Maybe you're beginning to suspect that high-def isn't all it's cracked up to be. Then again, maybe you need to tweak your TV's settings. Manufacturers often calibrate their HDTVs for the store showroom, emphasizing attention-grabbing brightness and cool, bluish colors. These settings may not work as well at home. The quick, free way to calibrate your HDTV settings is to use your TV's manual and its on-screen display controls for brightness, contrast, color, and tint. Look for a menu item called 'Picture Settings', 'Video Settings', or something similar. Take one of your favorite DVDs and pop it into your player. The PC World Test Center uses Lord of the Rings: Return of the King, among other videos, for HDTV color tests because that movie's many dark scenes provide opportunities to fine-tune brightness and contrast settings--but you can use any movie or TV series that showcases both dark and bright scenes. Brightness actually controls the black level of the TV; so when adjusting it, look for detail in blacks and shadows. To alter the setting, pause the movie during a dimly lit scene that includes background scenery or shadowy areas. Turn the setting up or down until you can distinguish shadowy details without washing out the foreground. The contrast control is sometimes called the white setting. Find a sky scene or one with many white objects in it, and adjust the control until the lighter objects' edges don't blur into their surroundings but you can still make out the details and textures in the whites. To tweak your color and tint settings, find a scene with lots of reds, greens, and blues. Move the color-setting slider until the colors pop without looking unnatural. You may find that you need to nudge this setting a little above medium high to showcase your HDTV's color faithfully. Tint is sometimes called hue; this setting controls the amount of green and red in the picture--a particularly important factor in getting skin tones correct. Many HDTVs permit individual red, green, and blue adjustments, and some higher-end LCD and DLP (Digital Light Processing) screens support even more-precise color tweaking by including magenta, yellow, and cyan controls as well.